Johnson was released by the Raiders on Tuesday, Matthew Kawahara of The San Francisco Chronicle reports. Analysis: Johnson was signed by the Raiders back in May and tallied 17 tackles in six games. The veteran will become a free agent and could potentially sign with another team depending on injuries across the league. Johnson has agreed to terms on a contract with the Raiders, Michael Silver of the NFL Network reports. 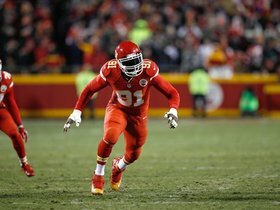 Analysis: Johnson, 35, parted ways with the Chiefs this offseason after spending 13 years in Kansas City. 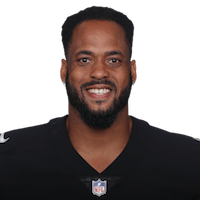 Although he's getting up there in age, Johnson is a welcome addition to a weak Raiders linebacking corps and should push for a starting job before long. However, it isn't certain that head coach Jon Gruden views the veteran as a three-down player, so IDP expectations should remain tempered for the time being. Johnson, who will become an unrestricted free agent March 14, said Wednesday in an interview with SiriusXM NFL Radio that he would like to play "a couple more years." The Chiefs announced Tuesday that Johnson would become an unrestricted free agent when his contract expires at the start of the new league year March 14. Johnson said following the Chiefs' 22-21 AFC wild-card loss to the Titans on Saturday that he intends to play in the NFL in 2018, Sam McDowell of The Kansas City Star reports. "I'm definitely planning on playing ball again. That's not a question," Johnson said. "But it's not the time to talk, I guess, [about] where I'm going to be playing it." Johnson will rest during Week 17's game against the Broncos, BJ Kissel of the Chiefs' official site reports. Analysis: Johnson has accrued 71 tackles, seven pass breakups and one forced fumble through 15 games, and there's no reason to risk injury ahead of the playoffs. The Chiefs will instead deploy Kevin Pierre-Louis and Ramik Wilson to fill in at inside linebacker. 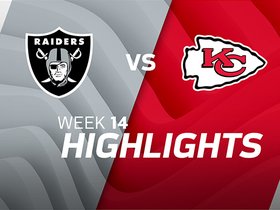 Johnson collected nine tackles (five solo) during Sunday's game against the Jets. Analysis: Johnson added a half tackle for a loss during the tilt but most notably totaled a season-high mark for tackles. The 35-year-old linebacker is on pace for his worst campaign since 2009 and may be finally showing signs of his age in the middle of Kansas City's defense. 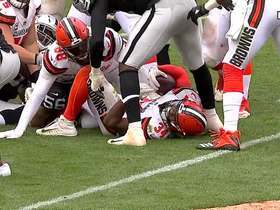 Cleveland Browns running back Carlos Hyde finds an opening and pushes through the Raiders' defense for a first down and 2-yard gain. 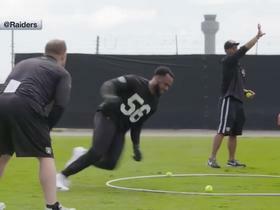 Watch Oakland Raiders linebacker Derrick Johnson go through drills during team workouts. The "Good Morning Football" crew debates if it is time for the Chiefs to move on from linebackers Tamba Hali, Justin Houstin and Derrick Johnson. Miami Dolphins wide receiver Jarvis Landry gets an unlucky fumble on Miami's opening drive, and Kansas City Chiefs cornerback Marcus Peters is quick to recover it. 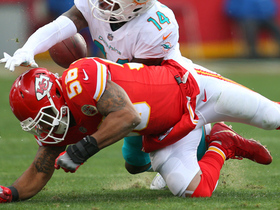 Kansas City Chiefs linebacker Derrick Johnson does push-ups on sideline missing a pick off Miami Dolphins quarterback Jay Cutler. Kansas City Chiefs quarterback Alex Smith hits wide receiver Albert Wilson for a 12-yard gain. 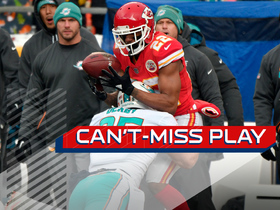 Kansas City Chiefs linebacker Derrick Johnson misses his chance at an interception off Miami Dolphins quarterback Jay Cutler. 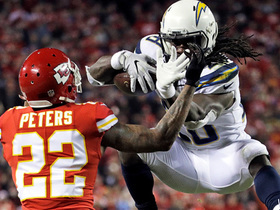 Los Angeles Chargers running back Melvin Gordon attempts to leaps over Kansas City Chiefs cornerback Marcus Peters, but fails. 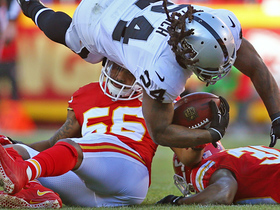 Kansas City Chiefs linebacker Derrick Johnson lowers the boom on Beast Mode.